This entry was posted in Faith & Religion, Prayer and tagged God Isn't Fixing This, Gun Free Zone, New York Daily News, Prayer Shaming, San Bernadino, Sanbernadino, Syrian Refugees, Trending, Twitter, We don't need your prayers. Bookmark the permalink. 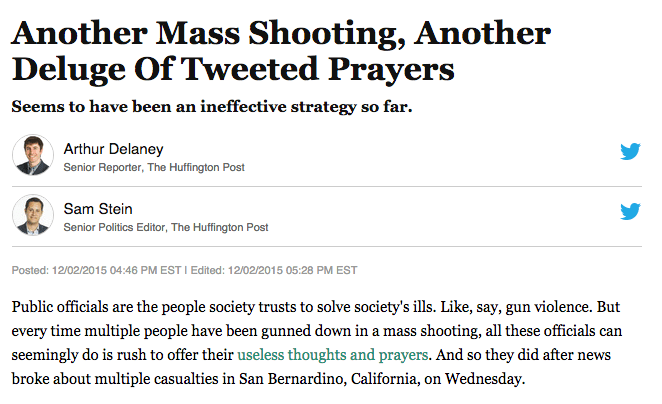 Thank you for a sensible response to the craziest of the media’s response to the latest shooting. I really wanted to say God did fix it over 2000 years ago by sending Jesus to die for our sins. 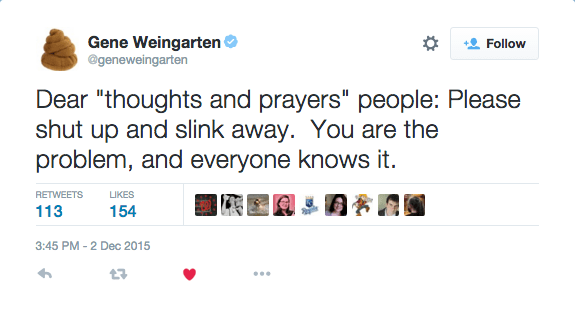 I think ‘PP’ is mentioned because that shooting in Colorado Springs happened just days before San Bernardino. And thanks for your wonderful and thorough explanation of prayer. 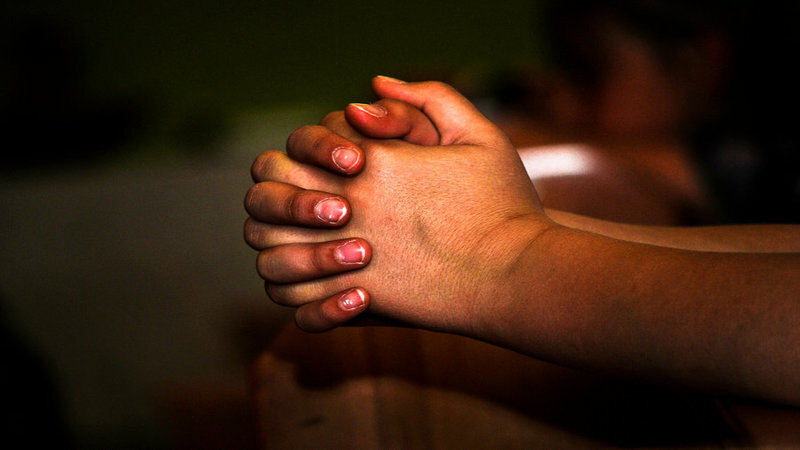 You’re right; prayer is more than thoughts or requests, it becomes God’s call to action for us. He answers most of our prayers through others who also pray and are called to action.